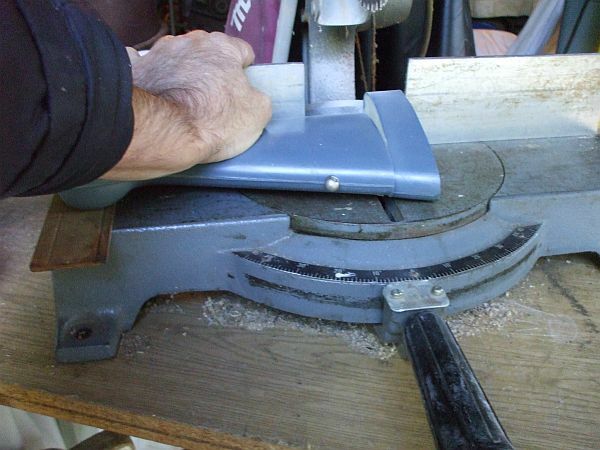 I used a 27 year old Makita power miter saw with carbide blade. I put a wooden shim under the left side to get the stock horizontal. I set the machine for 2.5 degrees less than a 90 degree cut. Depending on the stock composition. The fibre/metalcutting blades work well as well as the diamond wheels for concrete. Carbide is fine for 1 stock but it dulls quickly and has trouble with kevlar blends. I have a fixture that hangs off the back of a vertical mill. I use a five flute carbide enmill buzzing around 3500 rpm and I climb mill around the circumference of the stock. It makes more chips, but the edges come out razor sharp. (literally, it'll slice you up if your not careful) What it won't do is turn the edges to junk from chip outs on the brittle gel coats.